Every year at the Penny Arcade Expo, attendees get to share their design concepts at the “Pitch Your Game Idea” panel. If you listened to Robert Ashley’s most recent episode of A Life Well Wasted you know nearly every gamer has an game idea. The vast majority of them are utter garbage. For those serious about shopping around their creation, the PAX judges suggest you refrain from revealing your design plans - someone might just steal your idea and incorporate it into their own game. For David Shields, author of Reality Hunger: A Manifesto, such piracy might actually be a good thing. Maybe the games industry needs more development piracy. Um, isn’t the fruit what we want? Who cares about the basket? I suppose the argument is that by radically decontextualizing the passages, I’m remaking them so thoroughly as to violate the original context. That’s the whole point. Art without risk or danger or transgression never stays news, I assure you. By snagging ideas from others, artists can save themselves time and money, contribute to a widening pop-culture conversation, and create a fresh work of art every bit as valuable as an wholly original product. Musical mashups prove ingenious creations can be birthed from existing works. Indeed, such artists as Danger Mouse and Pogo are known for such creations. In many ways the games industry is already an open realm of free ideas. 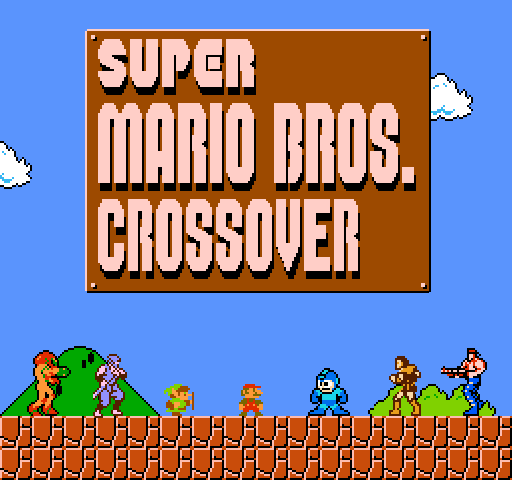 Jay Pavlina designed a videogame mashup with his Super Mario Bros. Crossover, which allows you to play through the original Super Mario Bros. as characters from other Nintendo games, such as Samus, Link, Mega Man. Similarly, David Kraftsow redesigned the original Tetris to rotate the player’s point of view instead of the pieces in First-Person Tetris. 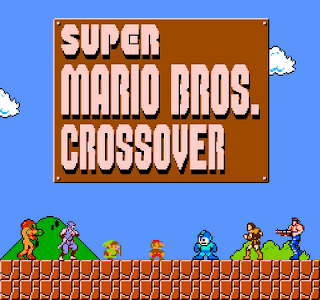 Both designers took existing games and innovated upon them, creating an altogether different and enjoyable medley. While big studios are less obvious in their procurement of ideas, concepts spread across the medium regardless. Valve created Portal after employing the development team behind Narbacular Drop, the game’s spiritual predecessor. They also hired the devs behind Tag: The Power of Paint, who undoubtedly inspired Portal 2’s new paint mechanic. While completely legal and beneficial for everyone, Portal’s lineage will all but disappear for the average fan. One of the most anticipated games of all time is partly built upon the ideas of others. The normative game mechanics we love, and love to hate, spread invisibly but persistently. Any game with a cover mechanic exists because of games like Kill.Switch, Gears of War, and Metal Gear Solid. Likewise, anyone who does not see God of War screaming out of Dante’s Inferno is blind or works for the EA marketing department. Given a base of inspiration, any number of innovations can grow. This is partly the logic behind the open source movement. The Half-Life engine has spawned fantastic mods, including Dear Esther. Warcraft III spawned Defense of the Ancients, which in turn spawned League of Legends. The developers and marketers behind the Humble Indie Bundle were hoping for similar success when Gish, Aquaria, Lugaru, and Penumbra Overture all pledged to go open source. In the hands of talented individuals with a knack for mechanical mashups, any number of great ideas can be born. Open source, generally, gives access to the game engine while game content is still protected. Shields might suggest we broaden what we understand as acceptable “borrowing behavior.” While I do not condone all out theft of intellectual property, I am inclined to agree with him. In a litigious games industry, sampling another’s work can be a frightening endeavor. But is it such an alien idea? I like the analogy set up by the interviewer. It, and the author's answer, perfectly explain both the scenario and why I think the author is a fool. He posits that since the fruit is what we want, who cares about the basket. I would imagine that the creator of the fruit (see: also the owner of the basket) would care a great deal. In one gloriously ridiculous moment, the author is able to deflect the fact that he has stolen fruit by trivializing the work of original creation and making his work seem more valid in its theft. Now don't get me wrong, I am all for derivative work and art that taps in to a collective consciousness and homage and spoof and any other form of work that is not wholly (as what could really be wholly) original, but this guy's attitude towards his theft and subsequent importance as an artist just rubs me the wrong way. But then, anyone who believes (as he does) that the novel is dead is probably an idiot. The novel is a hugely popular medium filled with new original works every day. Hardly dead. And in regards to mashups... well, they're novelty. They are proof of concept. They, certainly, are not things that an artist should devote a career to. Even the infamous grey album is merely novelty. It is a work that manages to be SUBSTANTIALLY less than the sum of its parts. I totally agree with you. Shields is very "forward" about his stance on theft, to put it lightly. His idea that the novel is dead is just plain silly. That being said, "borrowing" ideas for games seems a bit more of a grey area. While the grey album is reflective of an superior piece of art, it does tap into the desires of a different niche audience. I can imagine a games industry in which the flow of ideas occurs more freely. I think such an industry, particularly in the indy games scene, would be a bit healthier than now. Reading this brought me back, strangely, to the hearings the music, movie, and games industries had with congress over their ratings systems. The music industry representative kept iterating how music is a purely artistic form of expression of an individual, which is something I think has a huge impact on this topic as well. It is easy for two artists to get together and collaborate on something or make friends and allow them to sample their work. Games are a little more complex for a number of reasons. There is the obvious of licensing a character, their world, and anything else within, which can be far more complex than a song itself. But a great example of this actually happening would have to be Smash Bros Brawl which featured Solid Snake and Sonic the Hedgehog. It was the first time I can remember where characters from a rival company were featured as prominent characters in a game. The other tough thing about using game assets is code engine related. Usually from game to game, assets have to be completely or partially remade to work within the constraints of the specific engine for that game. The best way to describe it is like trying to combine and Ferrari and Camaro engine to create a supercar. The pieces simply wouldn't fit with each other. But, what you CAN do is what countless art teachers always say: if you see something you like, copy it. I read in an interview with the band Animal Collective that they are often asked how they made some of their unique sounds for their album. They never tell their listeners how they were created but encourage them to try to do the same thing, ostensibly copying, because while trying to copy you will either come close but come up with something unique, or along the way you will sidetrack to something completely different, unique, and often very better. This happens in games ALL the time. When coming up with an original idea great works are always the basis by which everything made for the game is judged. Since you can't copy and paste code for how a character moves, you play a game and look at movesets, jumpheights, runspeed, etc. And you essentially try to recreate the game in the new game. Along the way you don't end up copying it 100% because often you have unique assets and you find things which feel better for this world. It is kind of an unspoken to the public aspect of game development because it is first and foremost a business. The developers working on the games are gamers, and they are inspired by other games they play and want to do similar things in their own games, but can not say to the public which competing games ultimately inspired them. The one thing in your article which I didn't necessarily agree with is the use of Portal as a basis for this kind of "borrowing." This is actually a completely unique scenario because the original development team has been involved from the start. This is more like Robert Rodriguez making "El Mariachi" on a shoestring budget, but it was so compelling that a studio head decided to expand upon it. He then went on to make Desperado which is a spiritual successor but not a direct remake. He isn't really copying his own ideas because he is building things within his own style and voice. A creative lead will always bring their distinct voice to a project which leaves a recognizable stamp (your Tim Burton's, Tim Schaefer’s, Sid Meier’s, etc) and that flavor will shine through even if core concepts are not used from project to project. In any case, I think I am meandering, but I enjoyed the post and I guess I wanted to share my own perspective, as a developer and art major, my own view on things. I feel that ideas are flowing very well, minus the occasional patent, and any more direct sharing could actually result in less unique ideas in the longrun because constraints are more closely followed. Epic and well said response, sir. I like that you map out the process of borrowing that need not result in any predictable way. Surely some innovative design ideas have been spawned by accidents that occurred during early iterations. Call of Juarez: Brother's in Arms has a cover mechanic, for example, but is incredibly unique (although sadly not all that successful). Not to say they copied their idea. Rather, when you start off with someone else's inspirational work, it can actually be quite freeing. It allows for broader experimentation without having to start the process from scratch. And you are right, I think ideas are flowing pretty well in the games industry, probably more so than film or literature. I am hesitant to say direct sharing would be much of a constraint. Do you think a poorly designed product would have been bad regardless, whether or not the creators "constrained" themselves by working off an old idea? Also, the Portal is not great, that's true. It was meant less as an illustration of borrowing and more a comment on how a game's inspirational lineage is invisible and/or meaningless to the vast majority of gamers. Thanks again for the response and stopping by EXP. I really like games and animated films, so I've learned to make a short animated film that tells a duration of five minutes adventures of a 13-year-old child in a dream that effect to the real world. I will learn a lot from your site is so please advice on how to produce a good game and animation.